LaunchVic’s latest grant round – closing 24 May – aims to put Aboriginal entrepreneurs into the driver’s seat. Giving Aboriginal Victorians the tools to become innovative entrepreneurs and business leaders by improving access and participation – that’s the game plan for the seventh round of grants worth of up to $500,000 which are now on offer through the Victorian Government’s startup body, LaunchVic. And it’s a plan that complements the government’s commitment to self-determination for Aboriginal Victorians, administered through its $6.63 million Aboriginal Business Strategy. Called Tharamba Bugheen 2017-2021, the strategy was released in March last year to recognise the importance of supporting existing Aboriginal businesses in Victoria while also driving innovation and entrepreneurship in the sector. Statistics shine a light on why that self-determination strategy is vital: the rate of entrepreneurship for non-Aboriginal Australians was about three times more than that of Aboriginal Australians, according to the 2011 census, and LaunchVic’s mapping of the Victorian startup sector in 2017 showed that Aboriginal businesses are poorly represented. There is, however, a real chance to turn that poor representation around and foster a startup sector that reflects Victoria’s strengths in inclusivity and diversity, observes LaunchVic CEO Dr Kate Cornick. “Australia has an opportunity to build a diverse ecosystem of innovative startups and entrepreneurs from all walks of life and this is something that LaunchVic will continue to passionately advocate for,” she notes. Building such an ecosystem will take the form of education, acceleration, incubation and mentoring programs that focus on startup thinking, global engagement and using digital technology. By giving startups access to these programs, they’ll be positioned to become masters in lean and agile thinking, and work out how to scale and potentially launch their product or service globally. And the larger payoff? It will open pathways to grow both the community and the state economy. One soon-to-launch startup being supported through LaunchVic’s funded accelerator program is that of Geelong-based Aboriginal businesswoman Marsha Uppill, who has more than 25 years of experience in government, industry and community roles. Her business, Arranyinha – which is also her birth name and means ‘first born woman of her mother’ in Adnyamathanha (in South Australia’s Flinders Ranges area) – is developing a diagnostic tool to assess the impact of a business or board on Australia’s First Nations people and communities, both locally and nationally. It will have an overarching strategic, rather than an operational, approach. “The input is what a business is currently doing at a strategic level and the output will be a framework that influences that strategic plan and direction,” Uppill points out, adding that things like cultural awareness programs and traineeship opportunities will follow as part of the agreed actions. This is where Arranyinha has a huge opportunity to trigger change – it will centre on the very backbone of a business or board. 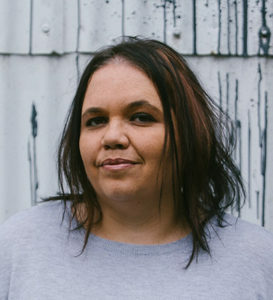 Uppill is the first Aboriginal person to apply to Runway Geelong – established last year and founded by a LaunchVic grant of $1.25 million with the mission to create 70 companies and 500 jobs in Geelong in the next five years – and she’s currently going through their 12-week business accelerator program. Discover more about LaunchVic’s startup programs, which are fuelling Victoria’s reputation as the startup state. The latest round of LaunchVic grants closes on 24 May 2018. Check out LaunchVic’s startup events calendar.